April Fools’ Day 2014: HTC Has a New Revolution…Its Features will Blow Your Mind. Wow. Just WOW! 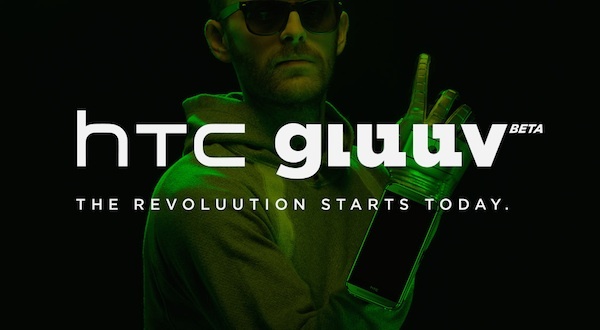 It looks like HTC is into the whole wearable tech thing as well, the Taiwanese company has just introduced the new HTC Gluuv, a feature-packed glove that integrates with the new HTC One M8, empowering you to unleash your imagination and communicate in ways you thought only lived beyond tomorrow. The HTC Gluuv is the most ergonomic wearable tech that features Social Fingerz, as well as a whopping 87.2MP selfie camera on board. The very futuristic looking HTC Gluuv is the perfect accessory for the all new HTC One M8. Pair it up with the HTC BoomBass, a humongous and completely wireless boom box, and you will be the coolest guy in town…ever. The HTC BoomBass is completely wireless meaning that you won’t even need wires to charge it up. Carrying it on your shoulder will charge it and if you wish to change tracks, just lightly give it a tap. Social Fingerz : Love the new café down the street? Give it a thumbs up to “like” it on Facebook. See someone special, swipe right to see if sparks will fly on Tinder. Fits like a Gluuv: HTC Gluuv is the first wearable tech that doesn’t sacrifice size for comfort. Beyond a tiny eyepiece, the HTC One Sense-powered full-feature set displays in brilliant HD 1080p resolution. Hi-fiving the future never looked so good. Harness the Power of Apps: HTC Hi5, Nomous and Protekt to take the HTC Gluuv to the next level. Find out more about HTC Gluuv from HTC. You Will Not Believe What Is In The Pirate Bay Bundle! It Is AWESOME And INSPIRING!